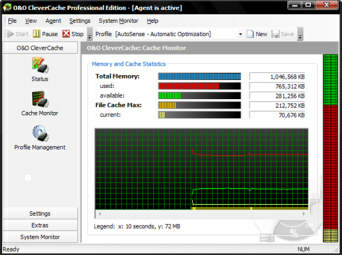 O&O CleverCache Professional is well-known software utility for Windows operating system that specifically designed to boost the system performance without any extra hardware. O&O CleverCache 6 unlocks hidden power of the system by optimizing caching system and control of the resource management for file caching and applications. In addition, the O&O CleverCache also prevents heavy system loading and guarantees the availability of a certain amount of memory. Therefore, it leads to a PC performance increase and lower response times. 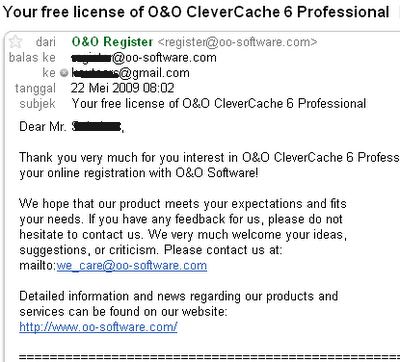 O&O CleverCache 6 Professional Edition single license listed price costs $29.95, while O&O CleverCache 6 Server Edition, which for commercial used, is priced at $142.74. As part of promotional offer from O&O Software, now everybody can get a free full version licensed copy. 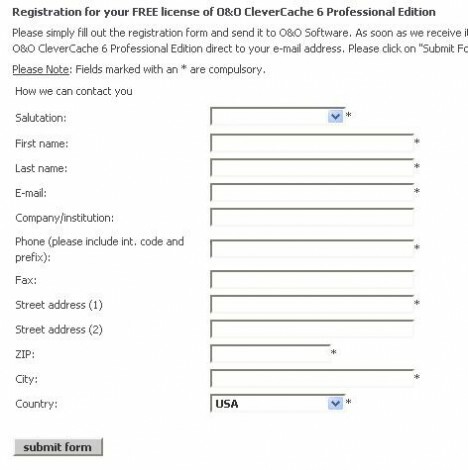 The free O&O CleverCache 6 Professional Edition giveaway is full commercial working version, with no restriction nor locked features. Enter the name, email address, and other information, then click “Submit” button. A verification email will be sent to use’s mailbox with the activation code or license key in it. Note: The email from O&O Software will take some time to proceed. Then enter the email address and license code that received as shown in below image. 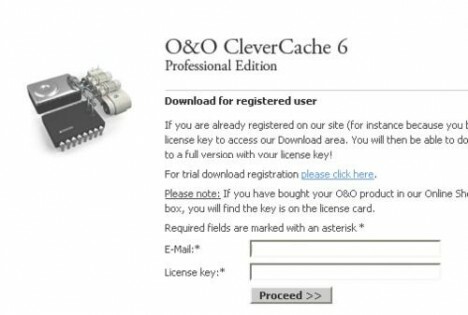 Enter the license serial number during installation to activate the full version of O&O CleverCache 6 Professional Edition. O&O CleverCache 6 Professional Edition supports Windows NT4 Workstation, Windows 2000 Professional, Windows XP, and Windows Vista.